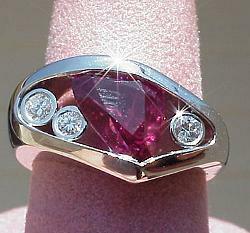 0.19CT oval cut Ruby with 0.10CT TW round and three baguette cut diamonds in 14KW gold! 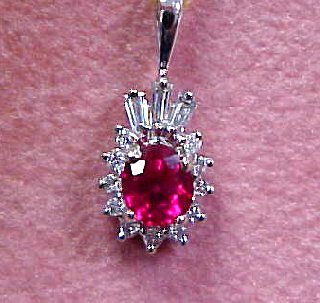 The simple pendant design showcases the fire that this Burma Ruby contains. 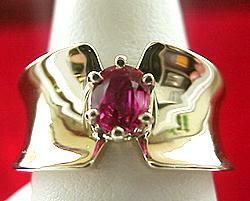 This AAA gem color Burma Ruby is 1.24CT surounded by 14K gold. 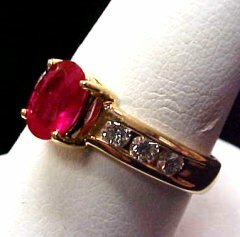 Here is a lovely 0.50CT Myanmar Ruby, AA fine grade with 0.14CT TW diamond baguettes of H Color, SI1 Clarity all set in a 18K gold mounting. 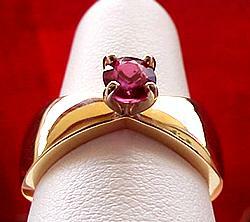 Buy her this stunning 0.63CT AA fine grade Ruby and 0.54CT TW diamonds of H Color, SI Clarity all mounted in 18K gold! 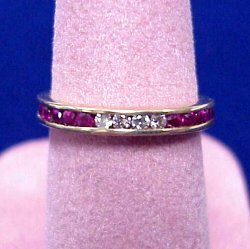 A well made channel band with 0.20CT TW round cut, AA quality Rubies and 0.08CT TW round cut diamonds all set in 14K gold. 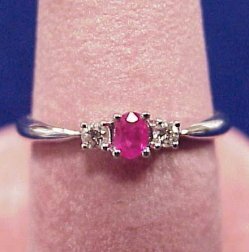 Lovely gem quality 1.0CT oval cut Ruby and 0.37CT TW channel set diamond ring. 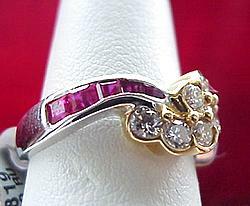 A unique design in platinum and 18K gold featuring 0.68CT TW of round brilliant cut diamonds of G-H Color, SI2 Clarity with 0.30CT TW AA fine grade Rubies. 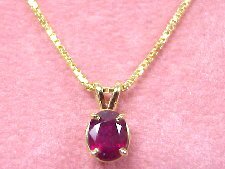 Have a terrific evening when you give her these gorgeous 0.90CT Gem AAA fine grade Myanmar Ruby set in our solid 14K gold mounting. 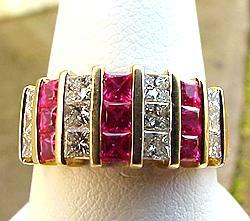 A terrific Ruby offering value at an affordable price! 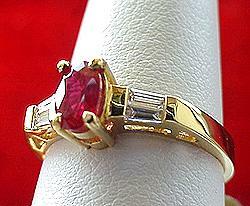 Beautiful oval Ruby accented with diamonds and set in 14KW gold, a nice piece of fine jewelry.